Sinteco, leader in the design and production of lines for the industrial and hospital automation, is the official sponsor of the National Competition of Electrotechnics 2016. This year the MIUR has chosen the Istituto d’Istruzione Superiore Statale Enrico Fermi as promoter of the National Competition of Electrotechnics. The competition is directed to the students of Technical Industrial Institutes who are attending the fourth class of the running scholastic year. 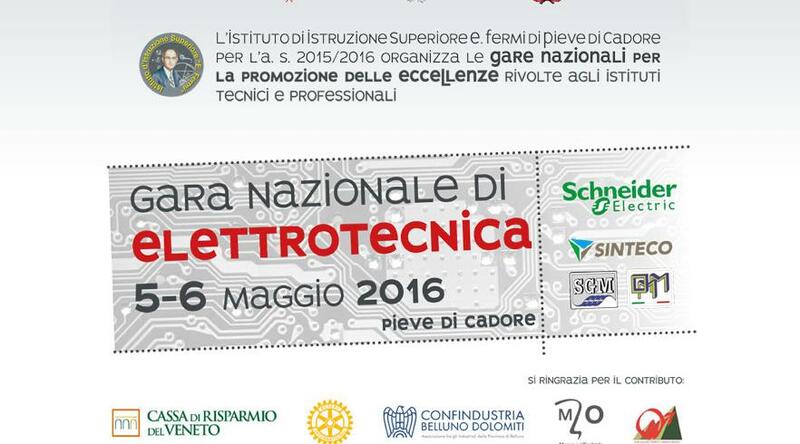 The event will take place from 5th to 6th May 2016 at the Science High School of Pieve di Cadore. It will be divided in two proofs concerning themes of their Electrotechnics and Electronics scholastic programmes, which last five hours each. 28 are the students coming from the same number of institutes who will participate to the competition. Good luck to all the participants! !